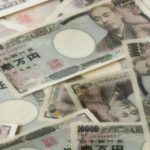 Are you going to Japan in the winter? Winter, one of the attractive seasons in Japan. Skiing, snowboarding, winter illuminations, snow festivals and more… In order to enjoy Japan in the winter, take some hints from here and use unique Japanese heating items or experience some traditional Japanese ways to keep you warm. Usually, it is heated well and pretty warm inside the buildings, houses and public spaces such as trains, buses, hotels, shops and restaurants. You will be comfortable inside buildings and transportation. 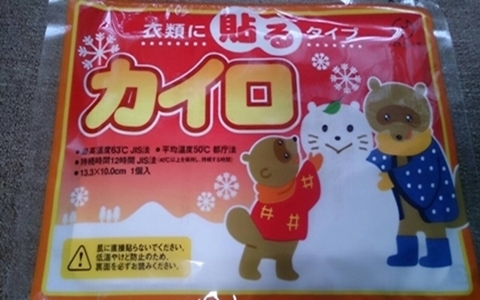 Japanese people call a disposable pocket warmer “Tsukaisute-kairo” (or simply “kairo”). It contains mainly iron powder and other components in a little pack. Once you have opened a packet, it will initiate a chemical reaction and then get warm. It will be approximately 40-55 degrees for 8-12 hours on average. There are non-sticky types which you can place into your pocket anywhere you go, and sticky types that you can stick to your clothing, also for your feet you can insert into your shoes! It is not too much to say that you will appreciate the advance of science and this Japanese invention! Once you have experienced it, you might not be able to go out without them. You can purchase them at convenience stores, pharmacies and even 100 yen shops! Kotatsu is a unique and traditional Japanese heating system which is a combined table with an electric heater underneath. The electric heater is attached to the underside of the frame. To keep the heat inside, put a doona over the frame then the tabletop will be placed on the top. Japanese people can’t live without a kotatsu for heating in winter. You might not be able to see how to use it at first, but simply you just sit at the table and place your legs under the doona. 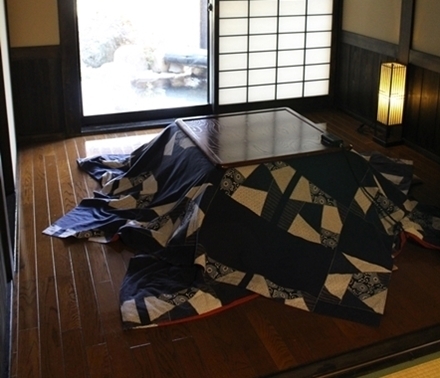 You will be head over heels in love with a kotatsu. Watching TV while eating mandarins at a kotatsu is one of the happiest moments in winter for many Japanese people. 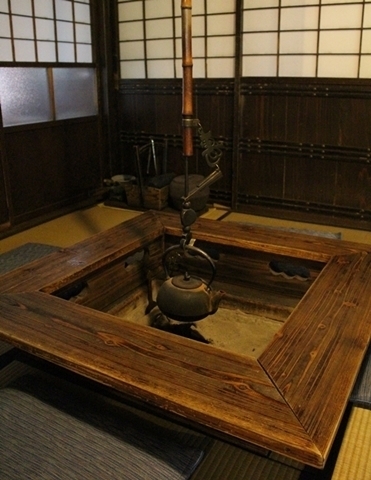 Irori is one of the older traditional Japanese heating systems. A sunken fire pit on the floor of a living or dining room made by cutting out a square in the floor. It is generally framed on all four side by wooden panels, laying ashes flat, and placing charcoals in the centre inside of the panels. This is equipped with an adjustable pothook. Irori is used for the house heating and also cooking. 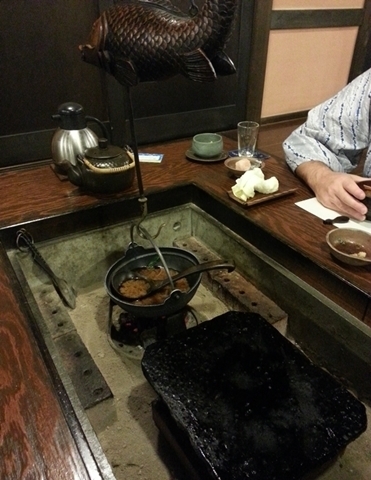 Some of restaurants or ryokans have irori on the table for heating and cooking. 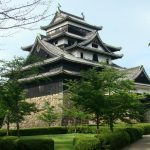 If you have a chance, jump into a story of good old days of Japan by having an Irori experience! 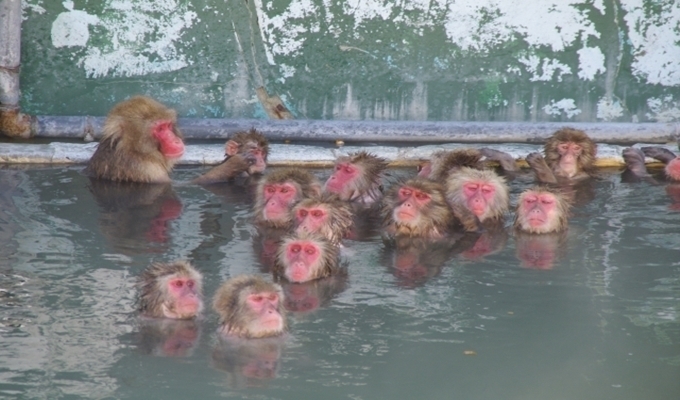 This is one of the best ways to keep yourself warm in cold winter in Japan. After you explore the city or snow activities in the cold of the day, stay at an onsen ryokan and simply soak into an Onsen bath. “Yukimi-buro”, viewing snow while soaking in an onsen, especially, at an open-air onsen will offer you an extraordinary experience. You will need to be brave and prepare to walk in the freezing outside as you will remove your clothes and very quickly make your way to the bath tub! 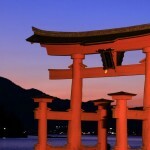 However, the experience will make your Japan travel in winter special and unforgettable. Nabe is Japanese hot pot dish, a typical winter food. The hearty nabe and warm sake will make you warm without doubt! 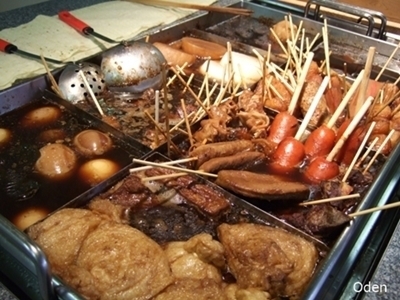 Even if you just get “oden” (one of the nabe dishes) from the hot food corner at a convenience store, it will then be a dual purpose of heating your body and a savoury snack!